This tract is for your SDA friends. God's last call of mercy is presented in this little tract to those still attending or supporting an apostate organization. 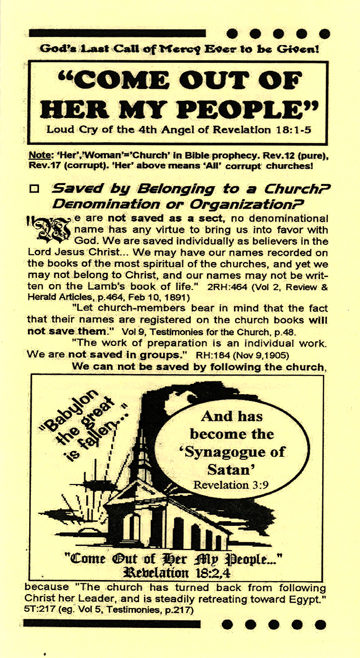 "Let church-members bear in mind that the fact that their names are registered on the church books will not save them." Testimonies, Vol. 9, pg. 48. First copy FREE, additional copies $.10 each + S/H.